During this blog I’ll narrow it down to just the picture to keep it short and simple but once you’ve done that you will be able to figure out how to manipulate more of the screen to your liking. First thing and most importantly is to save a backup copy of this file and then let’s proceed. So you’ve probably noticed that the file you downloaded isn’t a par file at all. It’s a zip file so first let’s unzip the file into a new folder so we can refer to it in a minute. 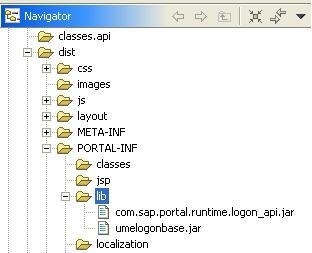 Now let’s rename this zip file com.sap.portal.runtime.logon.par and import it into the Netweaver Development Studio. Navigate to the folder where you imported your par file and open the dist\layout folder. This is where all of the images are stored that are used on the standard portal logon screen. Go to Google and get an image of your choosing or a picture of yourself and rename it to branding-image.jpg and branding-image-portals.jpg and put it in this folder to replace the standard images. You’re thinking that was easy right? One of the things that made me bang my head against the wall when doing this the first time were the library files. Go back to NWDS and navigate to dist\PORTAL-INF and look at the lib folder. Notice that it’s empty? In the folder we unzipped are the library files so you can simply copy and paste them into NWDS. 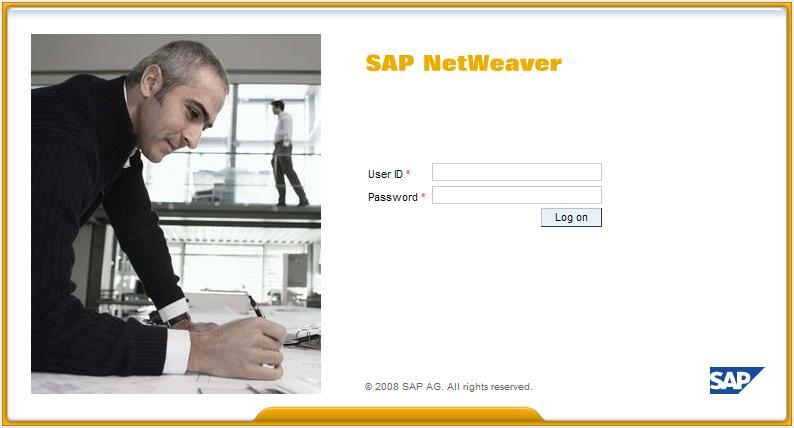 We can now export the par file and name it com.sap.portal.runtime.logon.par. Back to the portal we go to upload our new file: System Admin –> Support –> Portal Runtime –> Administration Console –> Click browse to the file and upload it. This will replace the original file on the portal so log out, close IE, open another window to login to the portal and you should see your new picture! As with most things there is more than one way to accomplish this goal. If you have access to the server itself you can copy/paste the par files directly rather than the portal System Admin path I described above. It is also possible to create an entirely new par file but again you would need access to the server to change the authschemes.xml file. I showed you the simplest way to do this as a portal person without needing outside assistance. Hope this helps!